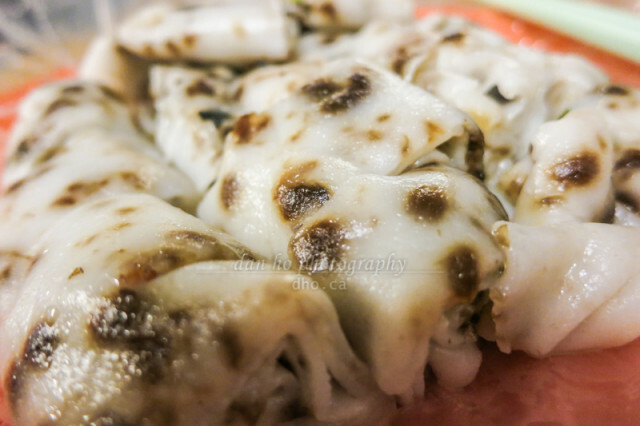 Teluk Intan's famous Chee Cheong Fan. This serving from Sam Siu Yeh on Jalan Sultan Abdullah. Liew Kee on Jalan Hill and Sam Siu Yeh on Jalan Sultan Abdullah are two places in Teluk Intan where you can find the chee cheong fan unique to this city. What makes this dish unique compared to other varieties of chee chong fan is the crispy fried lard and black turnip combined with the skin compared to the common Hong Kong style chee cheong fan which is either plain or with shrimps. I love this dish served with curry as opposed to the regular sweet black sauce. It’s definitely a local unique twist to a long traditional Chinese dish.